When you take your dog out for a walk in the public gardens near your home or during a stroll through a park in your city, have you ever asked yourself which species the trees that surround you belong to? Very probably, you will have walked past ashleaf maples (Acer negundo) or false acacia (Robinia pseudoacacia), you will have seen the blossom of the black cherry (Prunus serotina) or perhaps some fine specimens of red oak (Quercus rubra) or Himalayan cedar (Cedrus deodara). These are only some of the alien species (also known as allochthonous or exotic species), that is plants (or animals) accidentally or deliberately introduced by humans outside their original natural habitat. In many cases, the alien species find it hard to adapt to the new environment and rapidly die out, but in other cases they succeed in surviving, propagating and becoming established. Sometimes they succeed so well that they become an authentic threat, causing serious damage not only to ecosystems but also to farming and animal rearing operations, causing a reduction in local biodiversity, as well as effects on human health (e.g. allergies). Alien species, depending on how successfully they reproduce in the new territory where they are introduced, can be classified as casual, naturalised and invasive. Casual exotic species are those that may flower and propagate occasionally in an area, but do not form lasting self-sustaining populations and therefore depend on repeated introduction for their persistence. Naturalised exotic species are those that reproduce consistently without direct human intervention, forming populations able to persist over time for many generations. Invasive exotic species are those that have become naturalised and represent, or have the potential to represent, a threat to biodiversity through their ability to reproduce successfully, spreading to considerable distances and colonising vast areas where they replace the native (authoctonous) flora. 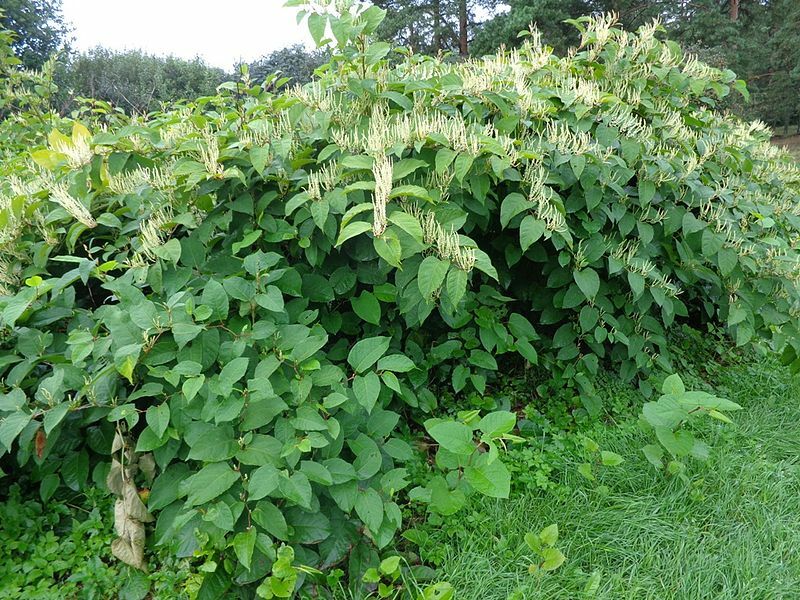 Many invasive exotic species that we find in urban parks and gardens have been voluntarily introduced for ornamental and nursery-gardening purposes linked to urban greenery. 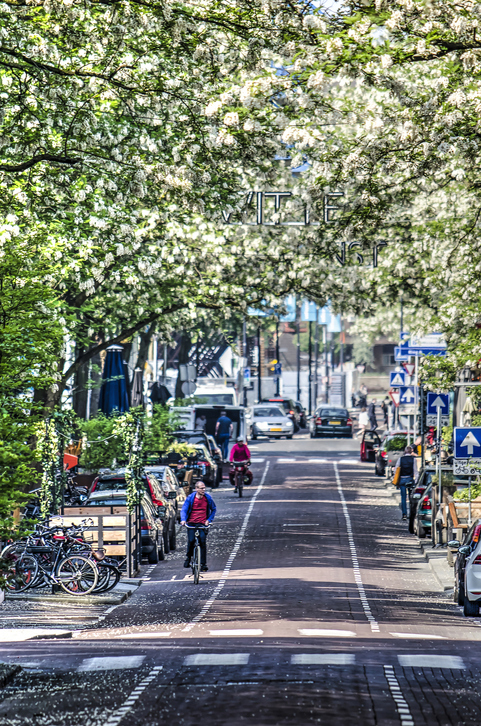 The urban environment, moreover, is an ideal place for hosting invasive alien vegetation. In fact, the continuous presence of areas that are disrupted by earth-moving operations, road maintenance, building sites, laying or repair of infrastructures, maintenance of green areas, etc., favours the spread of these species which, in such disrupted conditions, find their ecological optimum and successfully compete against our native flora. Alien species that threaten the Italian territory include Virginia creeper (Parthenocissus quinquefolia), butterfly bush (Buddleja davidii), ashleaf maple (Acer negundo), red oak (Quercus rubra), Indian lotus (Nelumbo nucifera), Japanese honeysuckle (Lonicera japonica), Chinese windmill palm (Trachycarpus fortunei), kudzu (Pueraria lobata), and Japanese knotweed (Reynoutria japonica). Most of these species come from the Americas or from Asia. Organisms originating in areas very far from us, therefore, are not just limited to those from which our meal was made yesterday evening – turkey, green beans, tomatoes and potatoes – or to the rainbow trout and soy bean sprouts that we are storing in our fridge for supper this evening, but are also now an integral part of the environment surrounding us. The following are some examples. 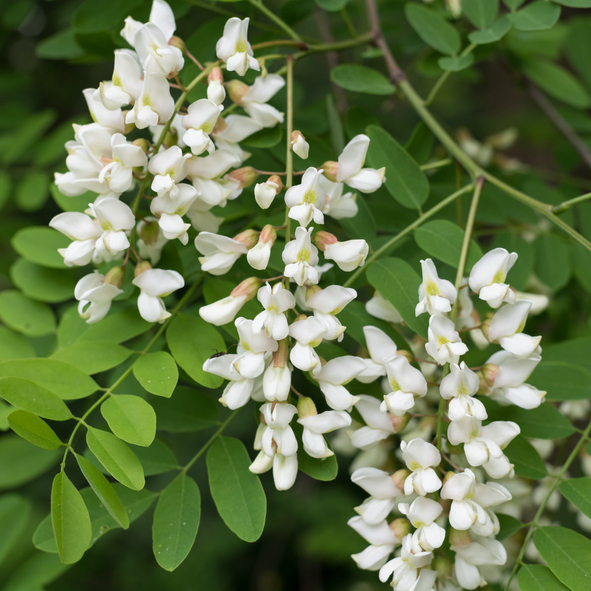 The false acacia, a deciduous tree originating in North America, was introduced into France by Jean Robin in 1601 as an ornamental tree. It was introduced into Italy as from 1662, when it began to be grown at the Botanical Gardens in Padua. It was immediately appreciated for the ornamental qualities of its flowers and foliage, rapid growth and the vigour of its root system. Initially, false acacias were used for ornamental purposes, planted in parks and along avenues; subsequently it was used to control soil erosion and for reforestation. It is now extremely common in most of Europe and is one of the most common invasive species all over Italy. In fact, the false acacia modifies the structure and composition of the vegetation in the areas it invades: in woodland it causes loss of biodiversity in that it supplants native woody species (e.g. poplars and willows). 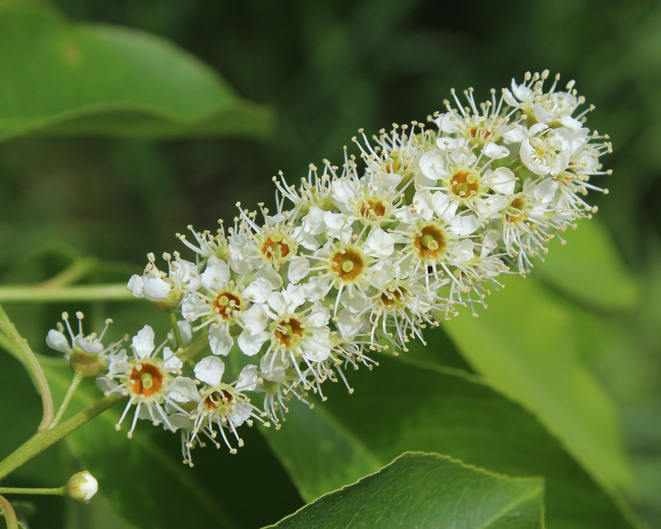 Imported into Europe for the beauty of its blossom, the black cherry is no less invasive than the false acacia. Many birds are partial to its fruit, thus favouring the dispersion of its seeds and the birth of new populations which get the better of native species, with obvious loss of biodiversity and deterioration of forestry resources. It is now very common in northern Italy and is considered to be one of the most invasive woody trees on the Po Plain. The Himalayan cedar, commonly found in parks and much appreciated for its beauty, is a majestic and impressively large tree. Originating in Central Asia, it was introduced into Europe for ornamental purposes. Unlike the false acacia and the black cherry, this cedar has become “peacefully” established, without creating any adverse impact. It is therefore considered a naturalised exotic species. Some of the strategies currently employed to limit this ever more expanding phenomenon are impact mitigation, restoration of the original environment (as far as possible), action to eradicate invasive species and prevention.